Keep your desk clear and your files in sight, while keeping them private with the HIPAA Wall Pocket files. 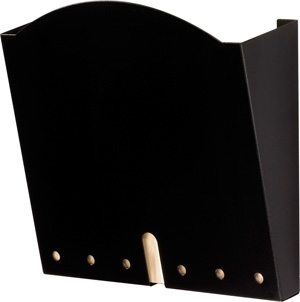 The unique design of these file holders allows you to see there is a chart or document in the holder, while keeping it enclosed and protecting patient privacy. The deep pockets hold up to 1' of materials. These steel chart holders have a black powder coat finish. Limited Lifetime Warranty.